Fresh made green juices are the most potent form of nutrition. When we juice vegetables and dark leafy greens all their goodness is released from the indigestible fiber and we are able to drink their highly concentrated nutrients. These nutrients are then able to enter our bloodstream very quickly bypassing most of the normal digestive process. This gives our digestive system a rest conserving massive amounts of energy which can then be used for regenerating, living, and healing. Since juicing removes the indigestible fiber, nutrients are available to the body in much larger quantities than if the vegetable or leafy green was eaten whole. For example, because many of the nutrients are trapped in the fiber, when you eat raw vegetables and leafy greens your cells are only able to assimilate about 1% of the available phytonutrients such as beta carotene. When that same vegetable or leafy green is juiced, removing the indigestible fiber, nearly 100% of that same beta carotene can be assimilated into your cells. Juicing breaks open the cell walls of your produce make it easy for your cells to quickly assimilate the high quality nutrients found in your vegetables and especially rich in your dark leafy greens. Very few people eat enough raw vegetables and dark leafy greens. Juicing provides a quick and easy way to increase your consumption of these important foods. When you juice produce you concentrate all the nutrients found in your food. Other co-factors such as fructose in fruit are also concentrated. For this reason I recommend avoiding fruit juices, carrot juice, and beet juice as the fructose content in these juices is too high. This can cause a spike in your blood sugar levels and can become a challenge for your pancreas to regulate your blood sugar levels. 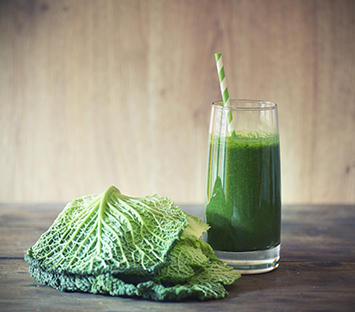 Juicing green vegetables and dark leafy greens is a much better choice. Fresh green juices provide us with minerals, vitamins, essential fatty acids, carbohydrates, proteins and much more. Green juices provide your blood and body with the essential nutrients and purification that they require. The nutritional essence of plants is best derived from their juice. Sunlight infuses all life; plants are the storehouses of nature’s captured and distributed sunlight. 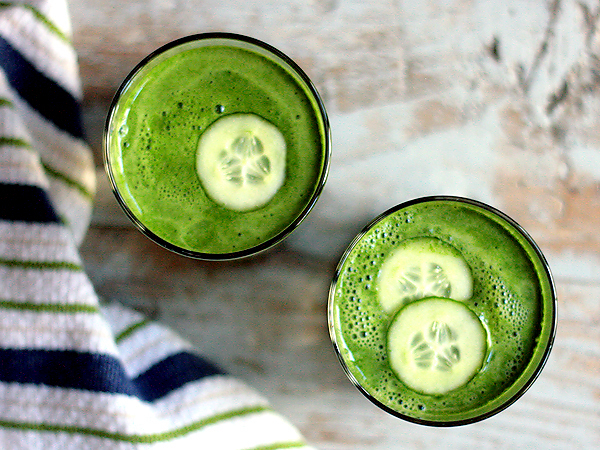 Drinking green juices is like drinking liquid sunshine! Fresh wheatgrass juice is nature’s finest medicine. It is our signature elixir here at Hippocrates Health Institute. It is the icon in our logo. A two ounce shot of fresh wheatgrass juice has the nutritional equivalent of five pounds of the best raw vegetables! It is both a concentrated liquid nutrient and a powerful detoxifier. I recommend a two ounce shot of fresh wheatgrass juice twice a day. Juice fasting is the best remedy for colds and flu’s. This supplies nutrients and removes the burden of digestion of fiber which saves energy that can then be used to heal the body. Juices can flush toxins from your body, are good for your weight, heart, circulation and overall well-being. Juices contain no saturated fats or added sodium and can be helpful in lowering your cholesterol. Drink fresh juices within fifteen minutes after it has been extracted to obtain all of its multifaceted nutritional benefits. Juicing is better than smoothies because excessive oxidation often occurs if your smoothie is blended too long and at high speeds. 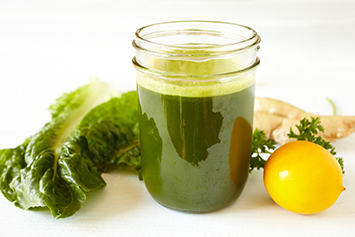 So start this new year off right, and toast with some nutrient rich fresh juice! 2015 and your body will thank you!